Context: There is much speculation about where Purandara Dasa, regarded as the pitamaha of Carnatic music, was born. Now, an expert committee constituted by Kannada University, Hampi, has come to the conclusion that it was most likely a small village called Kshemapura (now called Keshavapura) at Araga hobli in Tirthahalli taluk of Shivamogga district in Karnataka. The committee has found enough evidence to believe this place, which was a major province of the Vijayanagara empire, was the birthplace of the saint. Till now, some have been arguing that the saint-poet was born in Purandaragadh, near Pune in Maharashtra, and finally settled in Hampi. Purandara Dasa (1484–1564) was a Haridasa, great devotee of Lord Krishna (an incarnation of Lord Vishnu) and a saint. He was a disciple of the celebrated Madhwa philosopher-saint Vyasatirtha, and a contemporary of yet another great Haridasa, Kanakadasa. 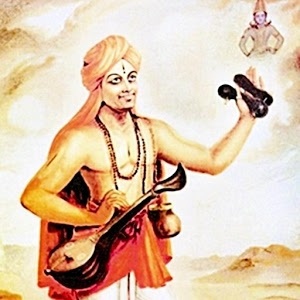 Purandaradasa was the pioneer who blended the rich musical streams, namely the Dravidian and Aryan music, into a single stream known as Carnatic music. In honor of his significant and legendary contributions to Carnatic Music, he is widely referred to as the Pitamaha of Carnatic Music. Indian National Trust for Art and Cultural Heritage (INTACH) today launched a programme for documentation of the tangible and intangible heritage sites along both sides of Mahanadi river. It will be a road map for the conservation workers, historians, students and researchers. Seven teams of culture enthusiasts will cover nearly 1000 kilometres on both side of the river Mahanadi under the project. Civilisation has grown on the banks of the river and there are numerous tangible heritages like temples, palaces, forts dot it. Moreover, intangible heritage like folklore, songs and dances, tribal art and craft have also thrived along the river. INTACH is an autonomous non-governmental Indian non-profit society that seeks to preserve Indian culture and heritage. It was founded in 1984. The 850km length of the Mahanadi river is divided almost equally between Chhattisgarh, where it is born, and downstream Odisha. Mahanadi rises from Raipur district of Chhatisgarh and flows for about 851 km before its outfall into the Bay of Bengal. Its main tributaries are the Seonath, the Jonk, the Hasdeo, the Mand, the ib, the Ong and the Tel. 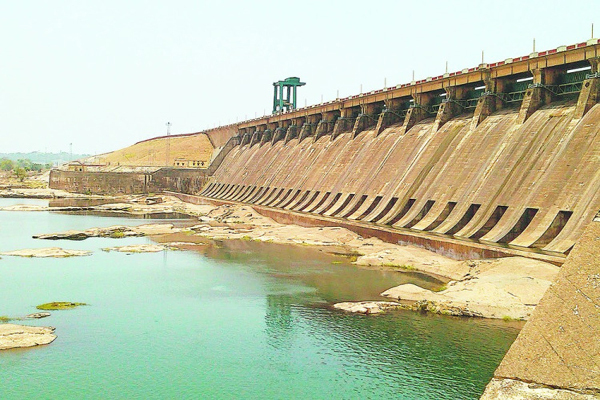 Near the city of Sambalpur, it is dammed by the largest earthen dam in the world, the Hirakud Dam. Context: The 65th Meeting of the Central Advisory Board of Education (CABE) was recently held under the Chairmanship of Union Human Resource Development Minister Shri Prakash Javadekar. A number of decisions were taken at the meeting, in part flowing from the agenda, and in part stemming from concerns raised by the State Governments. The board has decided to launch ‘Operation Digital Board’ in all schools in five years. This will be undertaken jointly by Centre, State, CSR, and community. 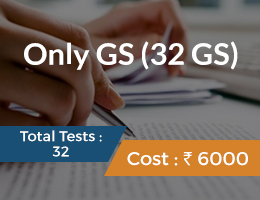 This will improve the quality of education. 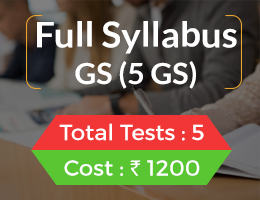 Students will be empowered with 360 degree information with interesting learning experience and teacher accountability will also increase. 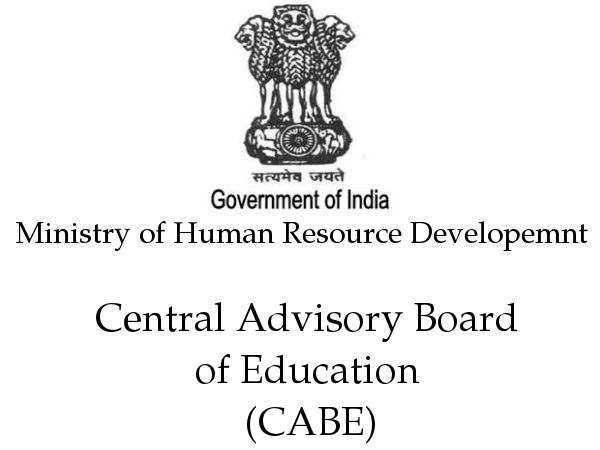 The Central Advisory Board of Education (CABE) is the highest advisory body to advise the Central and State Governments in the field of education. 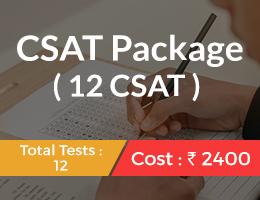 The Central Advisory Board of Education, the oldest and the most important advisory body of the Government of India in education was first established in 1920 and dissolved in 1923 as a measure of economy. It was revived in 1935 and has been in existence ever since. To review the progress of education from time to time. 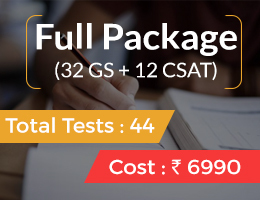 To appraise the extent and manner in which the education policy has been implemented by the Central and State Governments, and other concerned agencies, and to give appropriate advice in the matter. 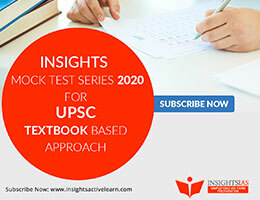 To advice regarding coordination between the Central and State Governments/UT Administrations, State Governments and non-governmental agencies for educational development in accordance with the education policy. 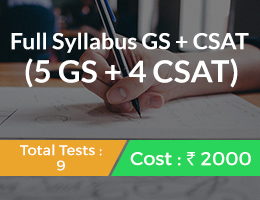 To advise, suo motu, or on a reference made to it by the Central Government or any State Government or a Union Territory Administration or any educational question. The idea that there should be a central Advisory Board of Education was first put forward by the Calcutta University Commission (1917-19). Chairman of the board shall be Union Minister of Human Resource Development. Minister of State for Human Resource Development shall be the Vice- Chairman. The tenure of office of members of the Board, other than the ex-officio members, shall be three years. 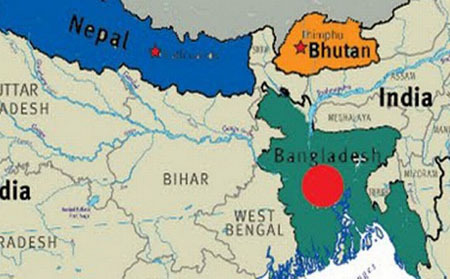 Context: Bangladesh, India and Nepal have agreed on the text of the operating procedures for passenger vehicle movement in the sub-region under the Bangladesh-Bhutan-India-Nepal (BBIN) Motor Vehicles Agreement (MVA) signed in June 2015, and will soon complete the internal approval processes for signing of the passenger protocol. The participating countries have also agreed to conduct more trial runs for cargo vehicles under the agreement. Bangladesh, Bhutan, India and Nepal (BBIN) had signed a framework MVA in June 2015 to enable movement of passenger and cargo vehicles across borders among the four countries. Bhutan has not yet ratified the pact for its entry to come into force. However, Bhutan has given its consent for the BBIN MVA to enter into force amongst the other 3 countries i.e. Bangladesh, India and Nepal, who have already ratified it. What is it? The landmark MVA was signed by Transport Ministers of the BBIN countries in Thimphu, Bhutan on 15 June 2015. As per the agreement, member countries would allow vehicles registered in the other countries to enter their territory under certain terms and conditions. Customs and tariffs will be decided by the respective countries and these would be finalised at bilateral and trilateral forums. Objective: The main objective of the agreement is to provide seamless people-to-people contact and enhance economic interaction by facilitating cross border movement of people and goods. Benefits: It would permit unhindered movement of passenger and cargo vehicles among the four countries. Cargo vehicles do not have to be changed at the border, a practice that has prevailed until now. The BBIN agreement will promote safe, economical efficient and environmentally sound road transport in the sub-region and will further help each country in creating an institutional mechanism for regional integration. Assistance from ADB: The Asian Development Bank(ADB) has been providing technical, advisory, and financial support to the BBIN MVA initiative as part of its assistance to the South Asia Subregional Economic Cooperation (SASEC) program, a projects-based economic cooperation initiative that brings together the BBIN countries, Maldives, Sri Lanka and more recently, Myanmar. ADB is the secretariat of SASEC. Context: India’s National Knowledge Network and Sri Lanka’s LEARN which connect to educational institutions between the two countries have now been linked with each other through high capacity internet. This dedicated high speed internet connectivity will boost the collaboration among the academic institutions of India and Sri Lanka. What is it? 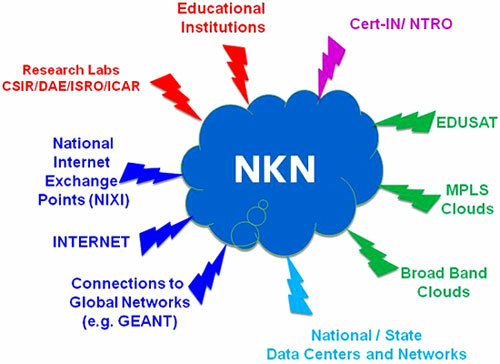 NKN is a multi-gigabit pan-India network which facilitates the development of India’s communications infrastructure, stimulates research and creates next generation applications and services. Aim: With its multi-gigabit capability, NKN aims to connect all universities, research institutions, libraries, laboratories, healthcare and agricultural institutions across the country to address such paradigm shift. What it does? It enables collaboration among researchers from different educational networks such as TEIN4, GARUDA, CERN and Internet2. It also enables sharing of scientific databases and remote access to advanced research facilities. The leading mission oriented agencies in the fields of nuclear, space and defence research are also part of NKN. What is it? ‘Vajra Prahar’ is a Indo-US Special Forces joint training exercise conducted alternately in India and the US. Why in news? The upcoming edition of the joint military exercise ‘Vajra Prahar’ will be held at Joint Base Lewis-McChord (JBLM) in Seattle. The exercise will mainly focus on special operations in urban areas. Aim and objectives of the exercise: The aim of the exercise is to promote military relations between the two countries by enhancing interoperability and mutual exchange of tactics between Special Forces. The objectives of the joint training is to share the best practices between the two armies and to develop joint strategies by sharing expertise of conducting operations in a counter-insurgency and counter-terrorism environment, while capitalising on the rich repository of experiences of each other armies. Key facts: Though the exercise began in 2010, there was a gap of three years between 2012 and 2015. The last edition was held in Jodhpur in March 2017. This edition’s Indian Army team is from the Pune-headquartered Southern Command. What is it? It is one of its kind Intellectual Property (IP) Competition for college and university students. 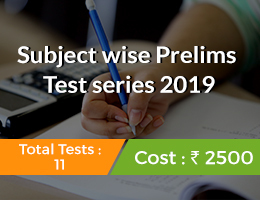 The Cell for IPR Promotion and Management (CIPAM), Department of Industrial Policy and Promotion (DIPP), in collaboration with ASSOCHAM and ERICSSON India, has launched this competition. The competition aims to foster a culture of innovation and creativity in the younger generation. It will provide young creators a unique opportunity to see their creations recognized on a national platform. This competition invites students to submit films on piracy & counterfeiting under two categories of 30 and 60 seconds. Another category in the competition is for a mobile gaming app on IP. Previous story Insights MINDMAPS: “Anti-Dalit Crimes in India”.